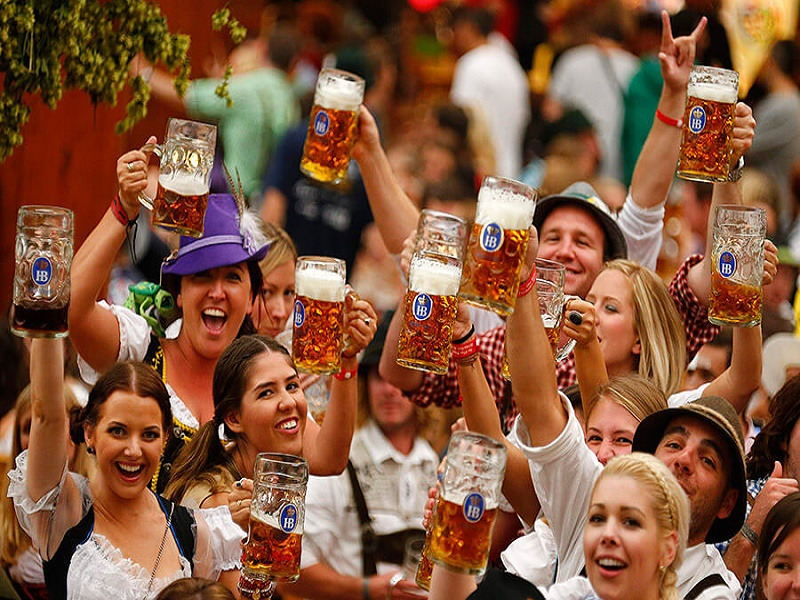 Oktoberfest: A 206 Year-Old German Celebration That Won't Ever Stop! The Oktoberfest was first celebrated in 1810, when the then crown prince (and later King) Ludwig married Princess Therese. Who knew the usually glum and serious Germans would be capable of giving the whole world a celebration that would spawn two centuries and only grow stronger with time? The Oktoberfest was first celebrated in 1810, when the then crown prince (and later King) Ludwig married Princess Therese. The citizens of Munich were invited to attend the festivities held on the fields in front of the city gates to celebrate the royal event. The fields were named “Theresienwiese” (Theresa's Meadow) in honour of the Crown Princess, and have kept that name ever since, although the locals have since abbreviated the name simply to the "Wiesn". What was a simple wedding celebration has transformed into a 17 or 18-day festival in which 7 million people from around the world participate in, consuming more than 6 million litres of Bavarian beer. That’s 1 million gallons of beer! It officially begins on the second to last Saturday in September at noon when the mayor of Munich taps the first barrel at the Schottenhamel Tent, crying “O’zapft is” (It’s open). The festival concludes the first Sunday of October following German reunification day on October 3. Only six breweries are represented at the Oktoberfest grounds – Späten, Augustiner, Paulaner, Hacker-Poschorr, Hofbräu and Löwenbräu. There are 14 main beer tents at the Wiesn grounds serving brews by the Maß (1-litre stein). Of the 14 tents there are 6 large tents, which rotate up to 12,000 people per day! That is a whole lot of beer! Many locals and visitors of all ages choose to suit up in Trachten, traditional garb for the fest, with men sporting the suspendered the leather trouser lederhosen and women the traditional Bavarian Dirndl and indulge in various Bavarian delicacies too. So, fancy a beer then?